Along with fresh bars and pedals from the brand, too! 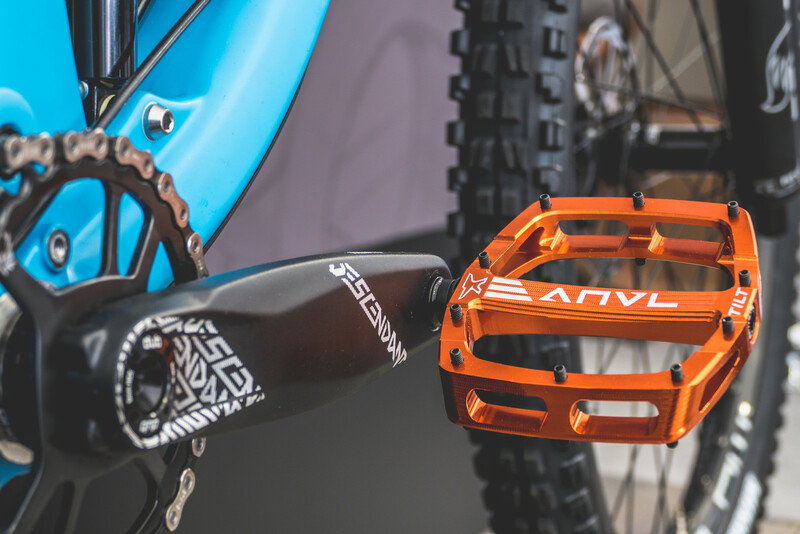 ANVL components is releasing a new Swage stem that is available in 50, 40, and a super-short 32mm lengths, all in a 35mm diameter bar option. 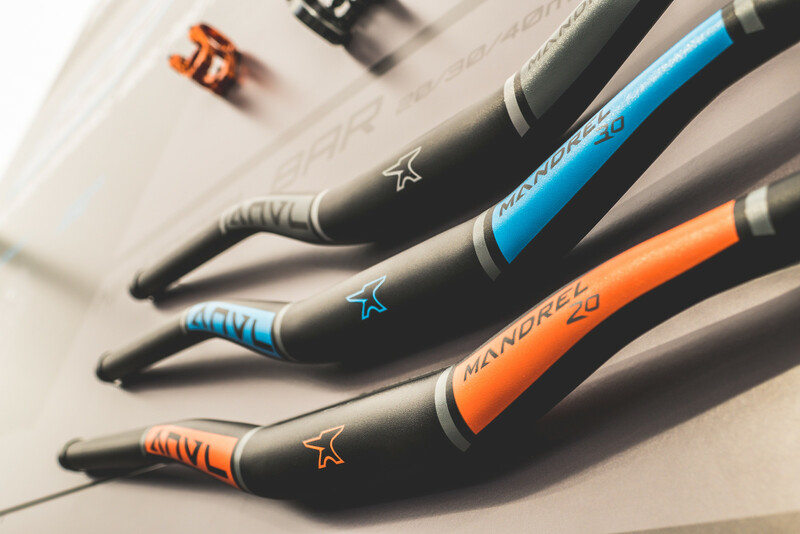 They droped some brand new Mandrel bars with updated graphics in 20, 30, and 40mm rise options, measuring 800mm wide. 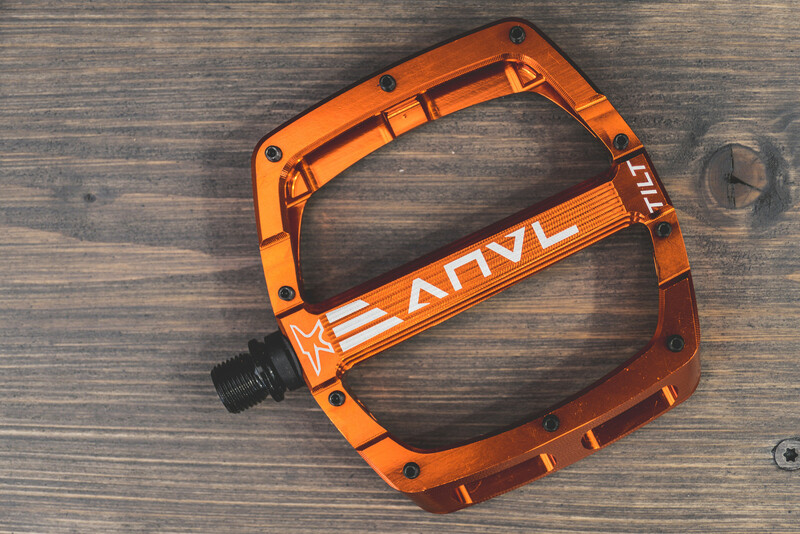 Finally, the Tilt is an all-new pedal from ANVL with a large platform and very concave design, both side to side and front to back. 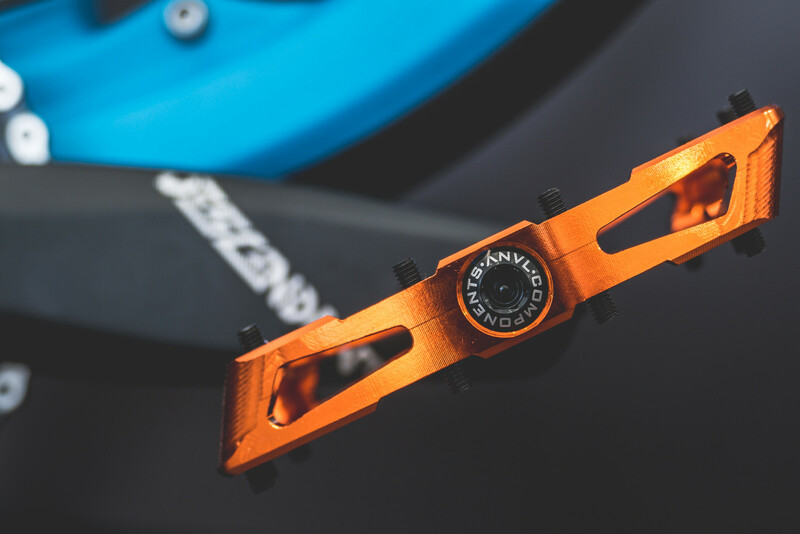 We really dig the look of the Tilt pedal and think it strikes a nice balance of thin profile, concave design, with loads of grip thanks to ample pin placement, and a large platform.